Red Chillies Entertainment YouTube Channel has been uploading Old SRK movies. These movies look unbelievable in High definition. I couldn't believe that i would get a chance to see these movies in such high quality. It's likely as clear as or even clearer than it was when it released on the big screen. Some of the movies require a purchase but you can watch the songs for free. I always encourage people to pay for the release. this will encourage the company to continue to do this. Is finally out in 1080p!!!! Red Chillies has released it on their Youtube.com/redchillies page! You have to purchase it. But its totally worth it. It looks incredible in HD. Red Chillies bought the rights from Venus Films. I encourage everyone who can to buy this so Red Chillies aquires the rights of ALL SRK movies soon and treats it with Full HD and soon 4K releases. Its a treat to see SRK's old movies in such great quality. Completely agree with you. I remember this movie not doing well and our family coming home in total disappointment. I was only 10. Years later i re watched this and was blown away with it. I believe its a masterpiece by Mani Ratnam and way ahead of its time. Seeing it in 1080p HD is such a visual treat. Can't wait to get home and watch this in the home theatre. I went to the Redchilies site and it said "unavailable" to buy. Has anyone else had this problem? nope .. i was able to purchase it. Try using your laptop or desktop .. doesnt work from phone. Just went to RCE's YouTube site all the movies but three are no longer available including Dil Se and Dear Zindagi etc. Does anyone know why??? Only Chaahat, One 2 Ka 4, and Chamatkar are available. Yesterday I received RCE YouTube notification I could rent or buy Dil Se, today I get sorry not available. What do you guys know. Oh, I'm on my pc using chrome windows 7 so there shouldn't be any issues there. Help please? 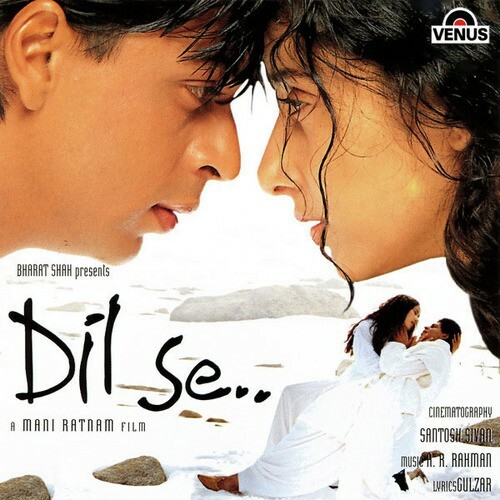 Check out these screenshots of Dil Se.. In High Definition. Looks phenomenal!! I'm hearing some areas are having problems purchasing this. But i'm sure they'll fix it. Till then anyone who can should buy this release immediately.. just look at the screenshots. I was on my desktop, not my phone and it was clear that it was "unavailable." Do we think this is a geographic issue? Now, those pics are tantalizing. I'm really sad I can't get it now! !